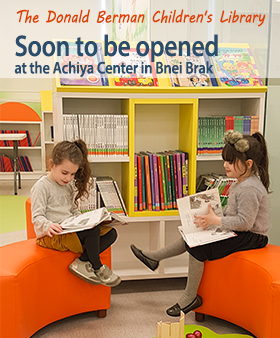 GOAL: To promote social skills, emotional intelligence, language skills, expression and interpersonal communications in the Haredi preschools. GENERAL COORDINATOR: Tzali Perlstein,- B.Ed., former coordinator of Educational Programs for the Kaev Program for Educational Involvement, 38+ years of experience in informal education. CONSULTANTS: Dr. Lior Somech, Ph.D. in Education from the Hebrew University of Jerusalem, Post Doctorate in Arbitration, accredited Educational Psychologist. Dr. Aviva Sverdlov, Ph.D in Education from the University of Tel Aviv, former Director of Development for Early Childhood Education at the Israel Ministry of Education, 35 years of experience in the field of Education. GUIDANCE COUNSELORS: All guidance counselors have an academic degree, are certified teachers, and have extensive experience in the field of education. Screen children for social awkwardness, emotional problems, and/or developmental/language delays via observation, questionnaires and behavioral assessments. Help children overcome social awkwardness, emotional problems and/or developmental/language delays. At the conclusion of the three year pilot, the counselors will continue working within the Ministry of Education’s Department of Early Childhood Education to continue the goals of this program. Recruiting relevant government agencies and private organizations to collaborate with us to create a network of supporting organizations wiht the goal of helping each child reach his potential via referrals to other agencies for additional evaluations and/or therapy. Providing the eight Early Education Counselors with an intensive training program to give them the tools they need in their work within in the school system.